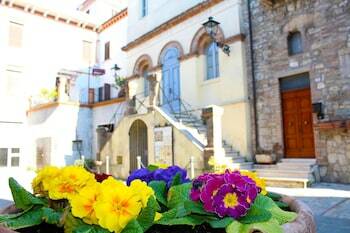 When you stay at Relais il Castello in Monte Castello di Vibio, you'll be steps from Teatro della Concordia. Featured amenities include a 24-hour front desk and luggage storage. Located in Lecce, this bed & breakfast is within a 15-minute drive of Holy Cross Cathedral and Roman Amphitheater. With a stay at Ca Marinella in Venice (Castello), you'll be within a 5-minute walk of Rialto Bridge and Basilica di San Giovanni e Paolo. The front desk is staffed during limited hours.